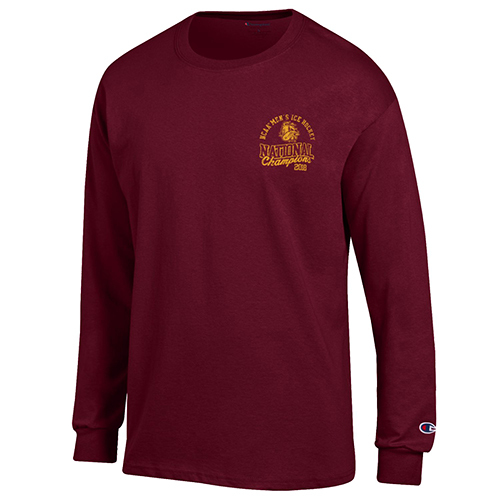 Celebrate the Bulldogs’ 2018 National Hockey Championship with this vintage style crewneck t-shirt from Original Retro Brand. 100% cotton unisex tee is ultra soft, with a tag-free neckline. Features UMD National Championship front graphics. Please select option for 2018 NCAA Hockey Championship Retro Tee. 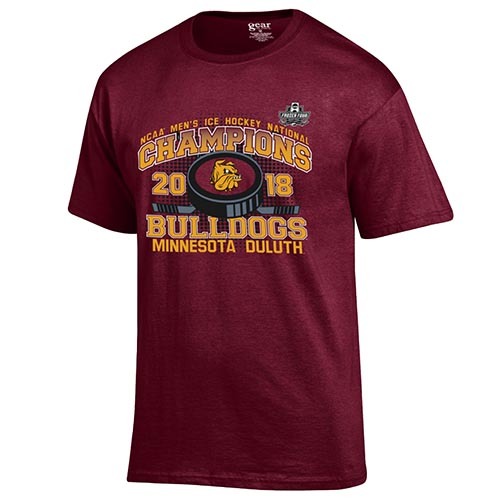 Celebrate the Bulldogs’ 2018 National Hockey Championship with this t-shirt! 100% cotton unisex tee features UMD and National Championship #1 screenprinted graphics on front. Please select option for NCAA 2018 Hockey Championship #1 Tee by Champion. Celebrate the Bulldogs’ 2018 National Hockey Championship with this unisex t-shirt! 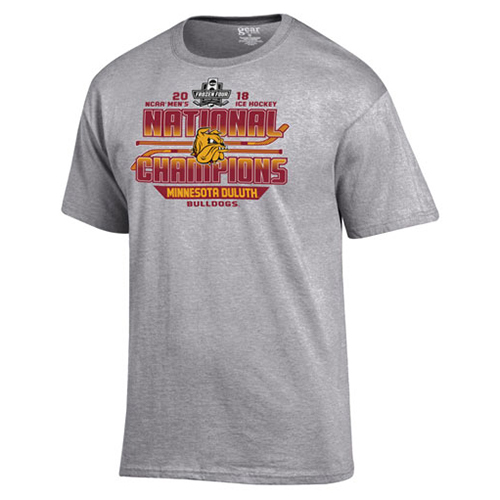 100% cotton jersey tee features UMD National Championship screenprinted graphics on front. Tagless thermal printed label at neck for comfort. 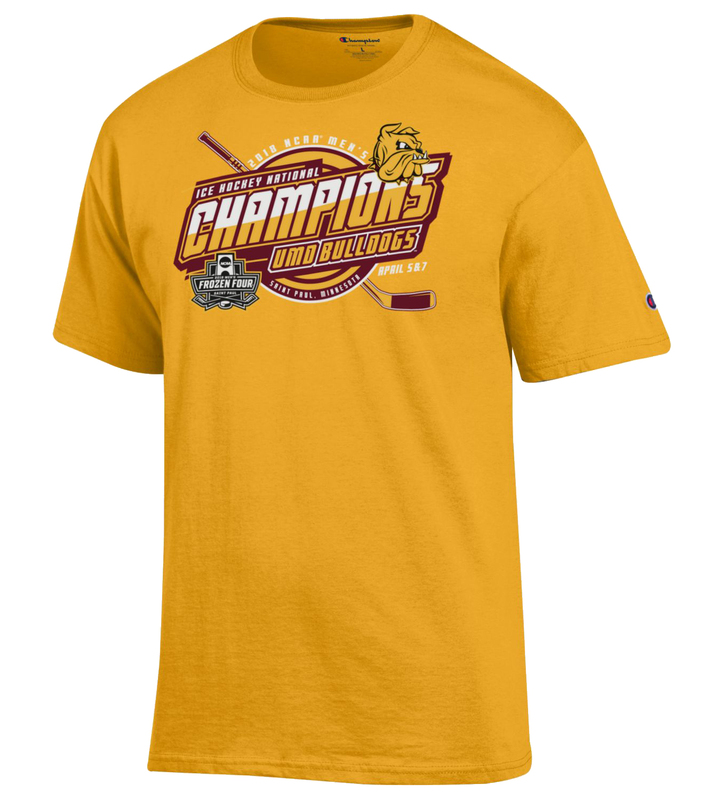 Please select option for NCAA 2018 Hockey Championship Bulldogs Tee by Champion. 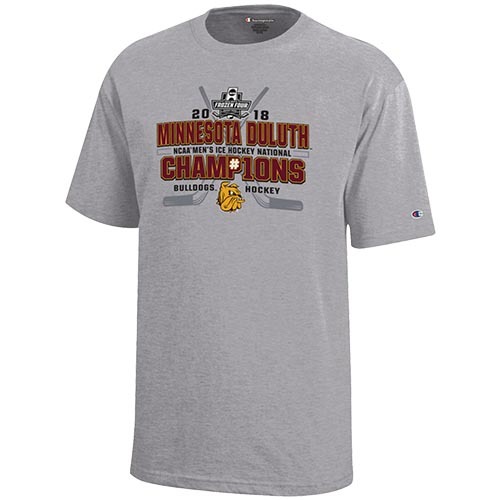 Celebrate the Bulldogs’ 2018 National Hockey Championship win in St. Paul with the official Locker Room style t-shirt! This is the t-shirt that was presented to the team on the ice! Features UMD and National Championship graphics. Please select option for NCAA 2018 Hockey Championship Locker Room Tee by Gear. Celebrate the Bulldogs’ 2018 National Hockey Championship with this long sleeve unisex t-shirt! Features vintage look UMD and National Championship screenprinted graphics, with smaller image on front left chest and full sized graphic on back. Please select option for NCAA 2018 Hockey Championship Long Sleeve Tee by Champion. Celebrate the Bulldogs’ 2018 National Hockey Championship with this unisex t-shirt! Features screenprinted National Championship graphics. Sorry, this item is clearance priced. No additional discounts or coupons can be applied. Please select option for NCAA 2018 Hockey Championship Tee by Blue 84. 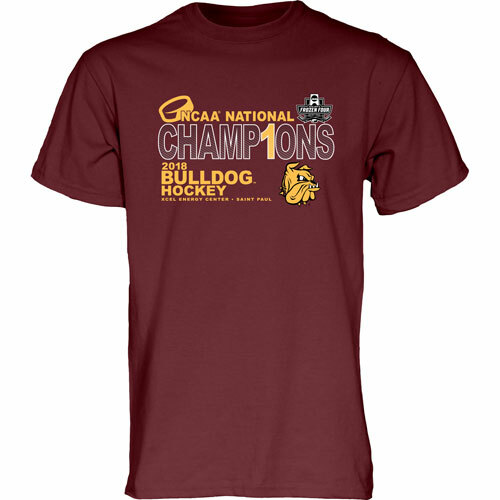 Celebrate the Bulldogs’ 2018 National Hockey Championship with this 100% cotton t-shirt! 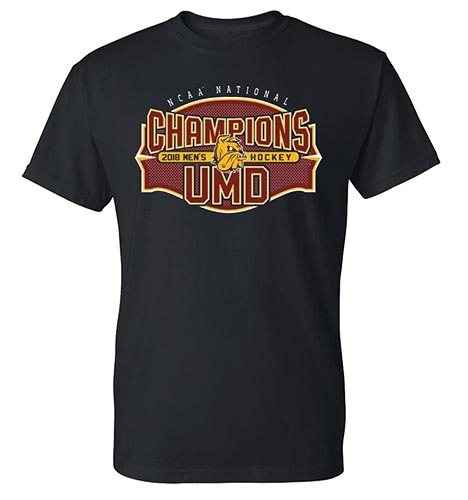 Features UMD National Championship screenprinted graphics, and tag-free heat seal label at neck. Please select option for NCAA 2018 Hockey Championship Tee by Gear. Celebrate the Bulldogs’ 2018 National Hockey Championship with this unisex t-shirt! Features UMD National Championship screenprinted graphics. 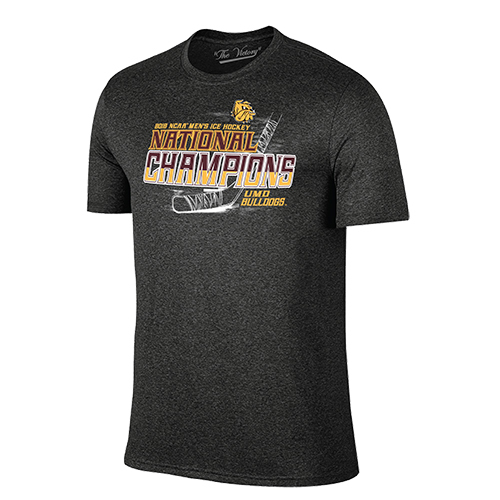 Please select option for NCAA 2018 Hockey Championship UMD Tee by CI Sport.